Un’esplorazione approfondita del blues di dodici battute, dalle classiche ritmiche R&R alle sonorità più recenti del Modern Blues e della Fusion, seguendo un viaggio graduale attraverso diverse tecniche di accompagnamento. An in-depth exploration of the twelve bar blues, from classic R&R grooves to the most Modern Blues and Fusion sounds, following a journey through different comping styles and techniques. 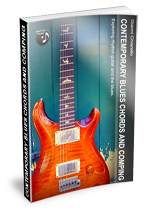 I have written this book to provide a variety of comping ideas for blues guitarists of all levels: most of the material comes from my experience in playing countless blues, jazz, and funk gigs, and hours of listening to and transcribing from the classic records, trying when applicable, to explain with simple harmonic concepts why I use a chord instead of another. The ebook is a digital download in the popular Pdf format (70 pages) and includes a recording of all examples in MP3 format. 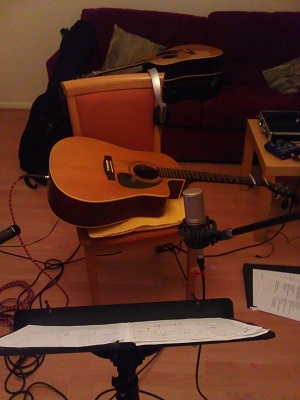 Just recording some acoustic guitars from my home studio for a friend’s project. Really pleasantly surprised by using a sm57 pointed towards the body to get a bit more ‘bottom’…I had never used a dynamic mic to record acoustics before, and it seems to add quite a bit of ‘weight’ to the sound, so I think I will do this again. 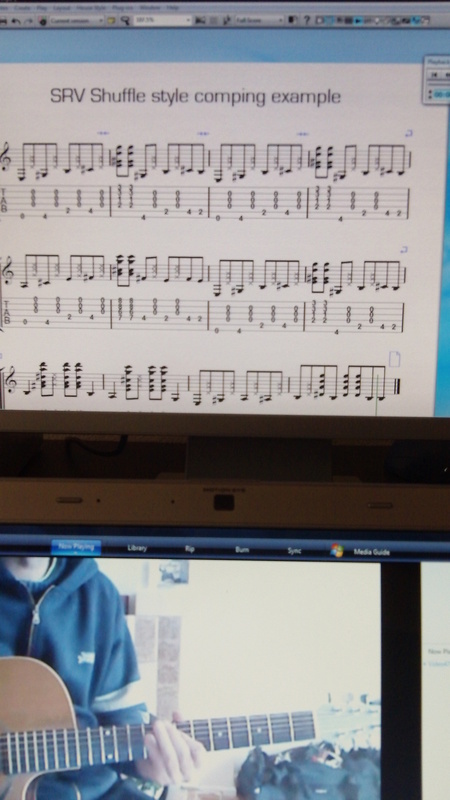 These are featured guitars, in a solo piece…it might not work for ‘strumming’ where you just want the presence and the top end to add some sparkle to the track…I guess it’s all about experimenting and judging on a song-by-song basis. For this particular project I have combined the DI sound with 2 mics, one AKG condenser mic and the usual SM57. I could listen to Larry play all day. I also think he has a great way to deliver the message with subtle irony that I always envied as a teacher…great stuff.